#1,142 Baby Rasberry. – Laurel Mercantile Co.
Now reading: #1,142 Baby Rasberry. 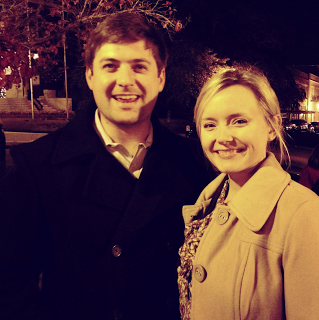 On December 21, Jim and Mallorie and Ben and I went to dinner at Cotton Blues. Over cornbread and shrimp and grits, they told us that they were going to be having a baby. Not “someday” but imminently. As in, August. We were the first people they said it out loud to and Mallorie and I began quietly crying right there at the table. It was a surprise that they’d only begun to understand a couple days before. We didn’t say anything, we just watched each other cry, both of us shocked that it wasn’t a rhetorical baby, but a very real life just beginning. A person who will have a name and a face and a personality. Jim and Ben were over the moon. She and I had both always talked about having babies together one day when the time felt right. That our kids would be cousins and best friends and neighbors… One day. But she went ahead of me and it scared me and made me feel a tenderness toward her, like the sister I never had and every bit the first cousin her husband is to me. And so I’ve finally had time to digest how the dynamic of our family is going to change and I’ve had time to think about writing it down here. It was really hard not to mention all this time, and they finally told the world on facebook today so I can spill the beans! This little boy or girl is going to have an amazing mom and dad. Hope, Brooke, Emily, Rebecca—y’all don’t leave me behind yet!